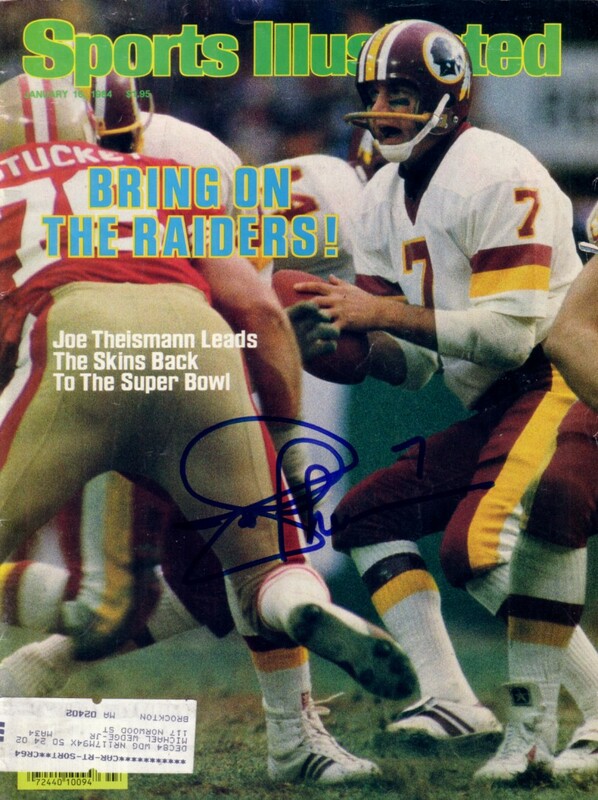 Complete 1984 Sports Illustrated autographed in blue marker by former Washington Redskins superstar quarterback Joe Theismann. Obtained in person at celebrity golf tournament. With certificate of authenticity from AutographsForSale.com. Has subscription label and very minor flaws/wear. ONLY ONE IN THIS CONDITION LEFT.